Benton 15'' laptop backpack. 15'' Laptop backpack featuring a zipped main compartment which can hold most 15'' laptops and includes a padded compartment for your iPad or tablet. Large front zipped pocket provides space for accessories and earbud access. 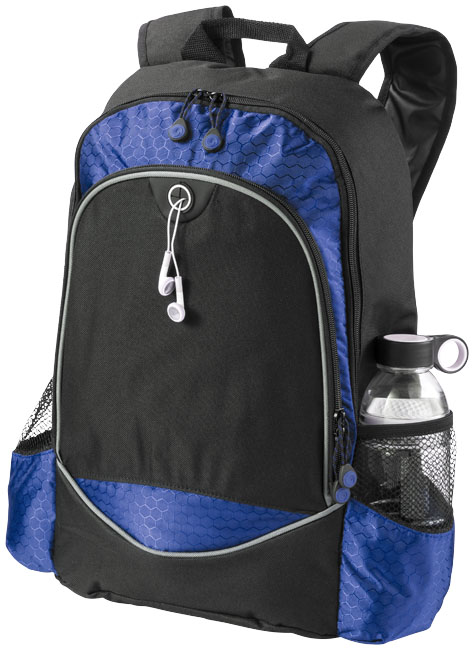 Also, features two side pockets, reinforced carry handle and adjustable padded shoulder straps. Accessories are not included. 600D Polyester.